I'm not an Amazon affiliate; sometimes I think I should be, given the time spent on their site buying things I need and want, doing research, checking prices, and window shopping. 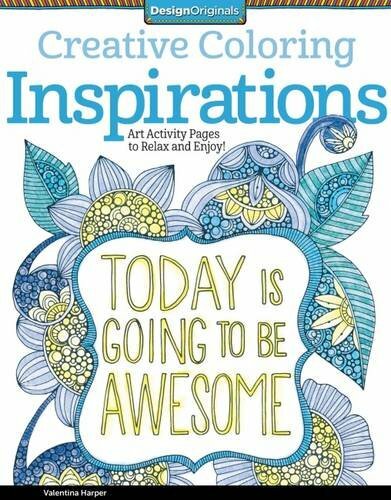 One of my purchases last year was this coloring book filled with inspirational messages. And it got me thinking. Are there coloring books that are inspired by the great cities and landmarks of the world? Why, yes, there are. You can color your way around the world. Here's what I found. All images are courtesy of Amazon. 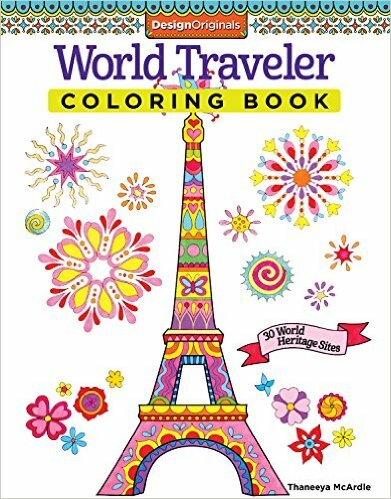 This travel inspired coloring book features the famous landmarks, from the Taj Mahal to the Mayan pyramids, the Great Wall of China to the Dutch windmills, and much in between. This series features the great cities of the world. Using freehand drawings, this book shows locales in Germany, Hungary, Venice, Jerusalem, Saint Petersburg, and more. Fans of Gotham can color their way through the Big Apple. 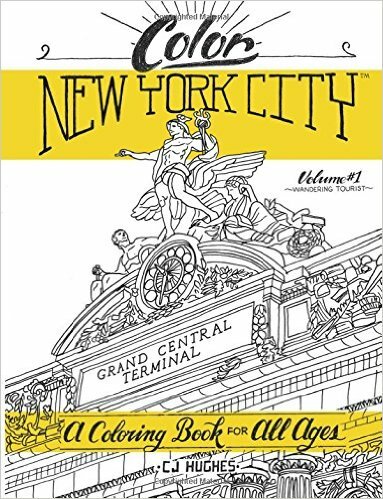 This coloring book features popular New York City attractions, such as Grand Central Station, Central Park, Times Square, the Chrysler Building, and many more. 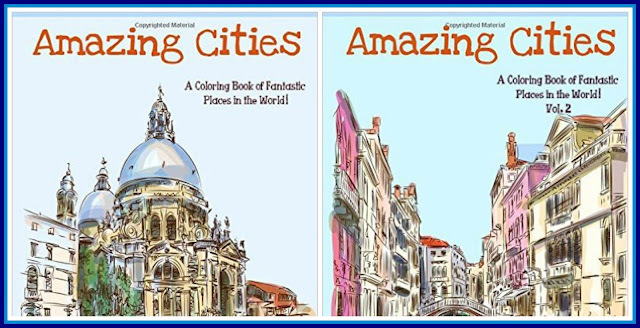 This coloring book from Wandertooth Media is designed "for globetrotters and daydreamers" and features 47 cityscapes and scenes across Europe, Asia, and the Americas, including Paris, Guatemala, Colombia, Argentina, Prague, and many more. Want more? Here's a free download from their new coloring book, Travel Between the Lines: Coloring Mexico. Access your free download here. 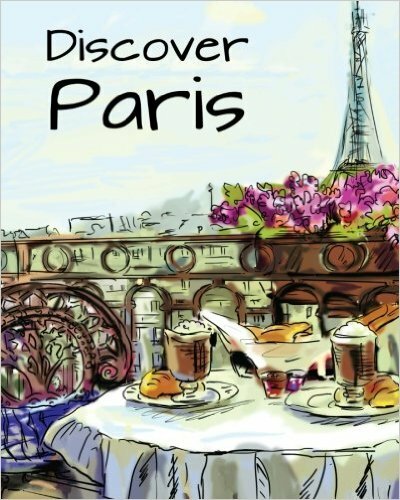 For the Francophile, there is Discover Paris, which features famous Parisian themes and landmarks, such as Pont Neuf and the Eiffel Tower. There were other coloring books as well, featuring areas such as Maine, the Pacific Northwest, and cities such as San Francisco and Venice. If your favorite city hasn't been featured, wait a while...it seems that this genre is exploding. Do you have any coloring books? What city would you like to see featured? They look fantastic. I have the first one; it's quite detailed, and it certainly passes the time. Safe travels, Biana. You're so right, Leanne. Bamford's books are gorgeous! What Fun! And too, the coloring books look like a seamless fit- perfectly tied to the dreams captured on a vision board! These all look too fun! I want to get a coloring book! My two favorite things travel & color books!!! I like this because it's a great way of vicariously travelling to different places. The adult coloring books seem to be a big hit. Travel ones are perfect for you. I have Secret Paris. It's so much fun! Though the first one you listed also looks amazing. 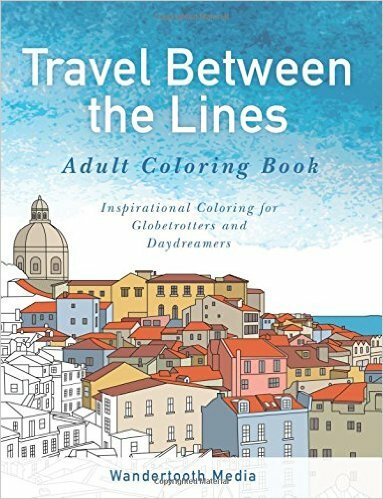 Thanks for including Travel Between the Lines Adult Coloring Book in your list! That's our book, and it's such a thrill to see it out there in the world! We appreciate your support! BTW- I've had many visions... but not a vision board. I jumped on the colouring book wagon at Christmas when someone got me one as a present and I love it. It's so relaxing and it's nice to do something creative. You're welcome! It's a great book! I hope others enjoy it as well. They're a lot of fun, and can be quite relaxing. They're my favorite. They're a lot of fun, and they can be quite relaxing. It's a great in-flight activity. :-) Enjoy! It's a fun way to indulge in wanderlust. Enjoy! Enjoy! There are many choices in various categories. Travel is my favorite. They can fit well, and it's fun to indulge the wanderlust.